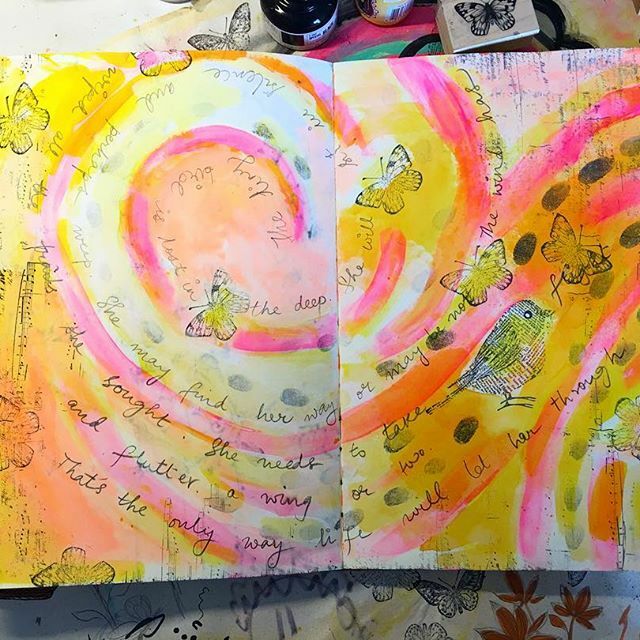 I enjoy mixing art with poetry…sometimes it flows out and finds a special place in my art journals. The tiny bird is lost in the deep. She will sit in silence and perhaps weep.She may find her way or may be not.The wind has wiped all the trails she sought.She needs to take flight and flutter a wing or two. That's the only way life will let her through.